Are you adopting new technologies? Are their impacts to your go-to-market strategy? Are you 21CFR part 11 compliant? Quality assurance teams (QA) are pushed to create value, drive new innovative approaches, test, and ensure that they address diverse platforms and integrations with technology-driven QA. Change is constant, and so are Business requirements. Within our highly competitive world delivering a product to market makes these requirements critical. The pressure on QA and Validation is enormous. Our practice is built on two key areas: 1) quality system development and support, 2) validation. All of our team understands the importance of adhering to compliance and regulatory guidelines. Working with you to understand the specifics of your organizational needs, we assist you in developing the quality system that includes all of your needs. The framework to your quality system is important from corporate quality manual to SOP templates to organizational design, we have the team to fulfill your quality system development needs. 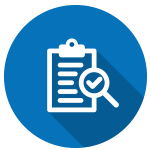 Our support is designed to provide the QA and QC professionals you require to supplement your team. From functional testing to performance testing from regression to compatibility to mobile, our team is designed to provide you with the exceptional resources you require. Our validation services stretch from quality management systems to technology applications to ERP and CRM to auditing to gap assessments. Let us assist you.